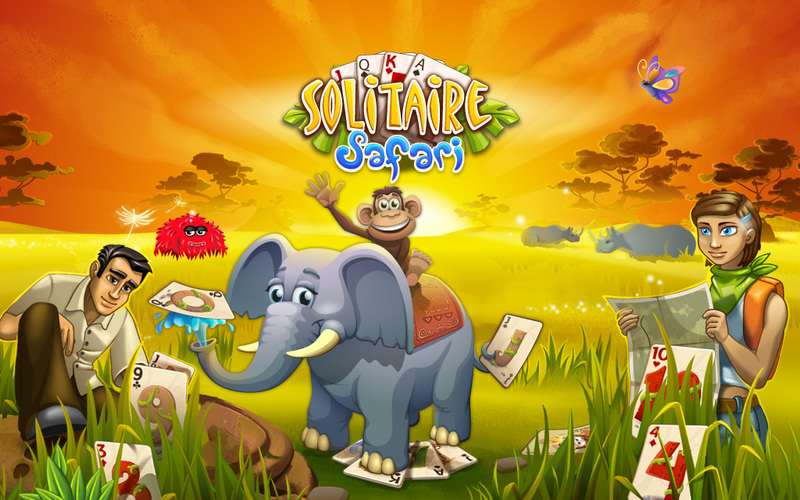 Solitaire SafariJoin this solitaire journey. A rare creature is spotted in the Serengeti! Adventurers, scientists and poachers are all racing to find and capture this mysterious creature. Take your Solitaire skills on the go in this wild and wacky adventure. Traverse dangerous terrain, facing monkeys, elephants and even caterpillars. Join our heroes as you go deeper and deeper into the wilderness to find the secrets of the Seregenti. Your Solitaire skills will face their greatest challenge yet!